When 23-year-old Elle can’t explain why her job as an Information Scientist at the Library of Congress keeps her so busy (because she’s actually a CIA operative who just became field rated), her boyfriend dumps her, so she decides to focus on her career and enjoy a fling.Navy SEAL Reese Beckwith seems like the perfect fling material except the more he sees Elle, the more he wants to know about her, and she can’t resist him. Things get complicated when Reese spots her with her CIA partner, a known womanizer. His questions for Elle get more pointed: he sees the potential for more than a fling, and once he sets an objective, failure is not an option.Yet Elle tries to keep Reese in the “fling” category as her first major assignment heats up, becoming more personal with each development. When her personal and professional lives collide, Elle is put to the test. 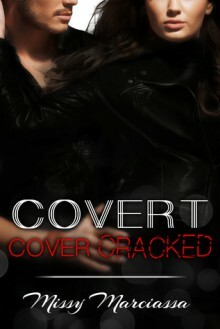 Does she have what it takes to be a covert operative? Will she have to choose between love and her career?